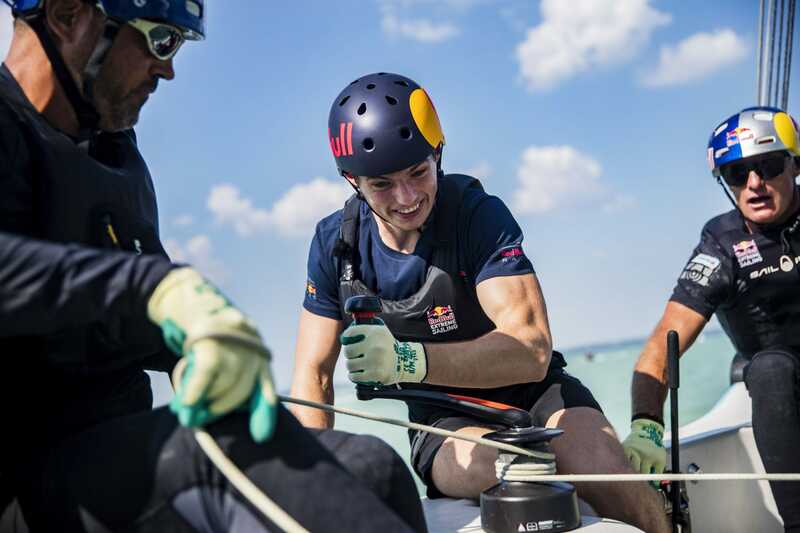 Ahead of racing at Formula One’s Hungarian Grand Prix this weekend, Aston Martin Red Bull Racing drivers Daniel Ricciardo (AUS) and Max Verstappen (NED) met up with Austria’s double Olympic Gold Medalists Roman Hagara and Hans Peter Steinacher to hit the water on Hungary’s Lake Balaton in cutting-edge catamarans. 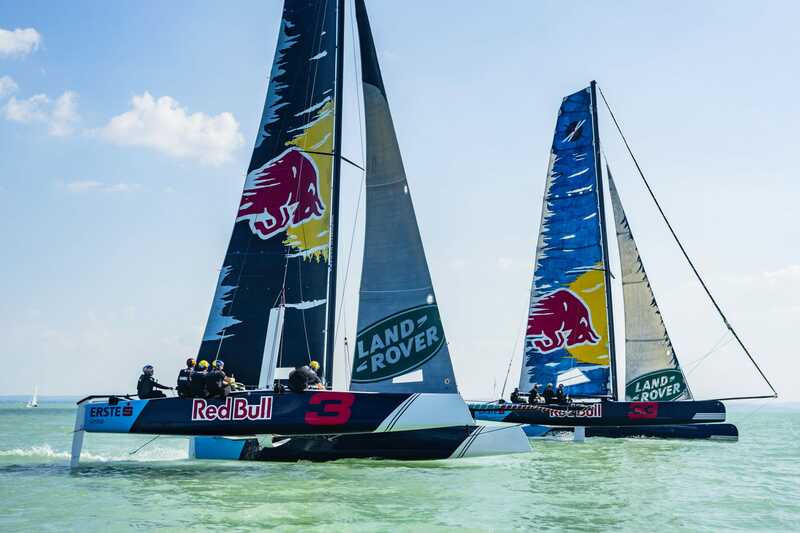 With four diehard competitors on the water, what started as a pleasant day in perfect conditions turned into a full-out race at top speed, with a shared passion for speed and drive to win. 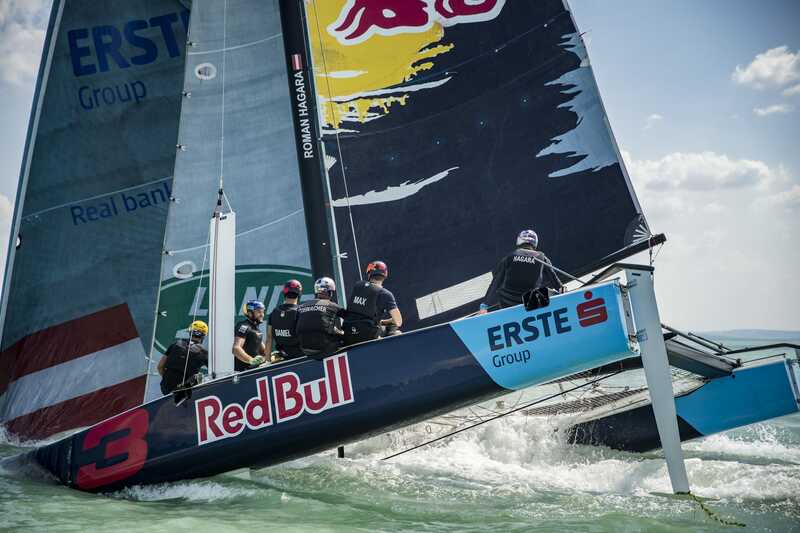 LAKE BALATON (HUNGARY) – Hagara and Steinacher, who are preparing for the Erste Kékszalag Grand Prix on the lake, welcomed Ricciardo and Verstappen onto Red Bull Sailing’s 40-foot catamaran as well as the GC32 foiling multihull that the team races in the Extreme Sailing Series. 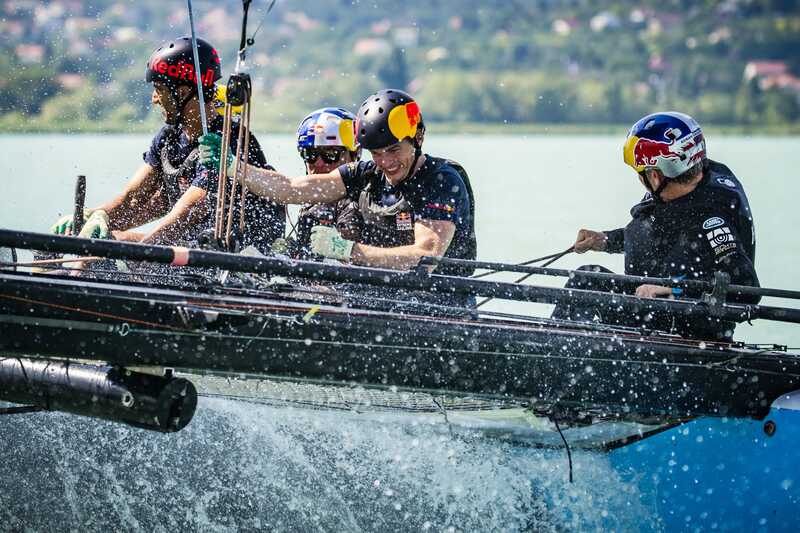 After the most successful Austrian summer sport athletes and other members of the Red Bull Sailing team gave the drivers an introduction to what high-tech sailing is all about, it wasn’t long before the F1 drivers decided to pair off with the Austrians for some match racing across the famous lake, with Hagara and Ricciardo manning the GC32. Meanwhile, Steinacher and Verstappen boarded the X40, and were almost immediately driven into a nose dive from the winds, a dramatic – and tough – start.